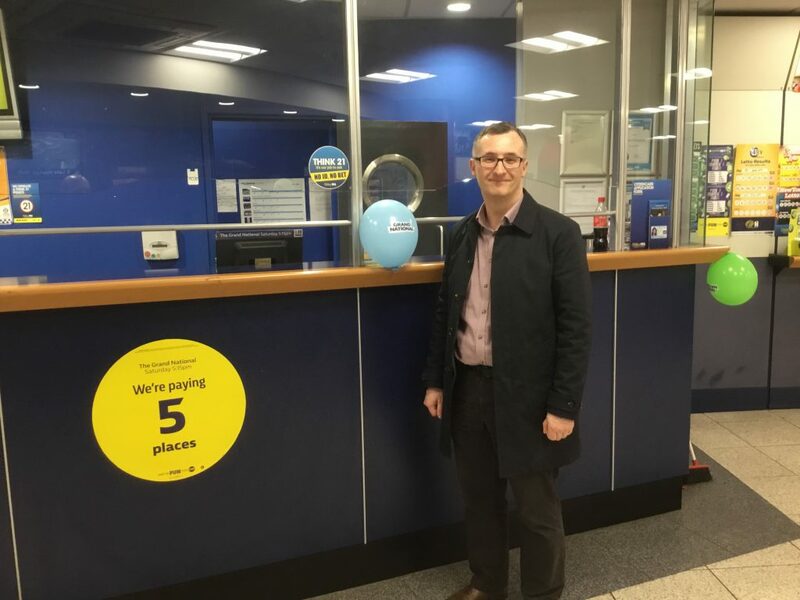 With the future of betting shops much in the news, Garry Fenton, Regional Manager for William Hill in Scotland talks with passion about how his shops are social hubs that can make a real difference to the lives of many people. I am the regional manager accountable for 307 William Hill shops spread across Scotland from as far apart as Stranraer and Dingwall. I take great personal satisfaction from leading my team to make a difference in the communities that we operate in and to leave a positive legacy of William Hill’s reputation. I believe that our shops are a social hub for many in the community, including socially isolated people, as our shop colleagues really do build a close rapport with their customers. Our charity projects allow us to reach out beyond our shops and raise awareness of the help available to anyone who may be living with difficulties. The importance to William Hill is beyond measure, as it really does reaffirm just why we are an important part of society and just how incredibly skilled our shop teams are in customer service. Our partnership last year with Prostate Cancer UK was, for both organisations, a foundation for how we will approach community work in the future. We were able to construct a framework to enable us to join forces with shop colleagues, customers and even politicians to raise awareness of just how prolific the disease is and how it is preventable by men through being more proactive in talking about their health. Our betting shop customers match the target profile for the disease in large numbers, so the partnership was one which naturally had broad appeal. We also raised a significant amount of funds to assist in life saving research – £25,000 in just over just 4 months. You can appreciate the level of engagement and pride that we felt as a team in support of such a worthy cause. We are delighted that this year’s partnership with Alzheimer Scotland also coincides with William Hill’s chosen charity of 2019 being the Alzheimer Society. We were already committed to working with Scottish Racing and Alzheimer Scotland following an approach in late 2018 from Racing Together Community Manager in Scotland, Eleanor Boden. William Hill operate on course betting shops across all five Scottish racecourses, so it was an easy choice, but it really was Eleanor’s tenacity and passion for the project that provided the added motivation. 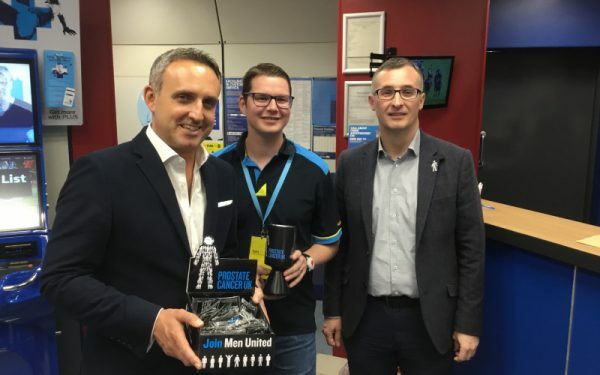 It is worth adding that we have many William Hill customers who live with dementia, so as with prostate cancer, we see the partnership as an ideal fit for our business and how we can build upon the success of last year’s activities. We aim to raise as much funds as possible, of course, but we also want to help to raise awareness of the work that Alzheimer Scotland do to help people living with dementia and, importantly, for those that care for them. I can see a huge opportunity for William Hill to adjust the way in which we interact with our customers in a more informed way, through shop team training. We can look at how we present our shop environments to make them more dementia-friendly. Ensuring that ‘nobody is harmed by gambling’ is our company’s vision for the future, so the partnership this year will form an integral part in how we demonstrate that ambition. As two highly trusted brands, I believe that together we can add practical value to the partnership with Alzheimer Scotland. The appeal of racing has so much to offer as unique leisure time for all of us in our busy lives, but given the large attendance numbers across Scotland, we can also develop a lasting impression that anyone can enjoy their day, including those with family members and friends who are living with dementia. With over 90,000 people in Scotland living with dementia, we are proud to join forces with William Hill to support the work of Alzheimer Scotland. We are in the process of making every racecourse in Scotland, and 1600 members of William Hill staff, dementia friendly in 2019. We will be hosting events in our retail and on course betting shops, including memory days, coffee mornings, as well as selling the exclusive Alzheimer Scotland merchandising with its fantastic tartan emblem design. Customers can donate directly through collection tins or sponsor our shop colleagues as they tackle the many events across the year. There will be five kiltwalks, football tournaments and even some mountain climbing! We would also encourage the public to join us at the many events across the calendar at the five racecourses in Scotland. The partnership is perfectly timed, given that we are just approaching the first anniversary of operating our on-course shops with Scottish Racing. I have no doubt that we will also collaborate productively with our politicians in Holyrood and Westminster, using the positive relationship we have already developed with them to further support Alzheimer Scotland’s message that we can all do more to improve the quality of people’s lives who have dementia. Racing has such unique appeal and enjoying that experience, regardless of your social background or physical impairment, is a message I am proud to support, as it enriches the quality of all of our lives and the excitement of an affordable flutter can only add to that experience.